Enjoy an easy three to four hour lake and river paddle to scenic Ragged Falls and back. This self-guided trip departs right from the dock of our Oxtongue Lake store. Bring a picnic lunch – once you see the falls from your canoe, you’ll want to get of out and hike to the top and take in the awesome beauty of this spectacular cataract. If you don’t have time to take the trip to Ragged Falls, you can explore the scenic bay just beyond our dock. 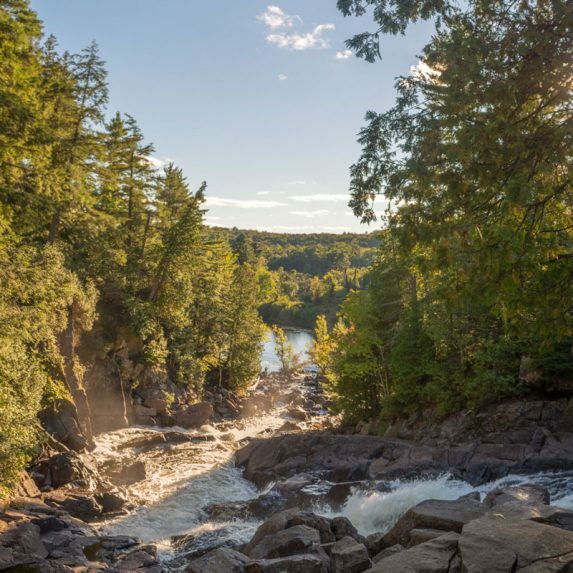 Explore our Ragged Falls Day Trip.